but amazing tastes with great variety is important. 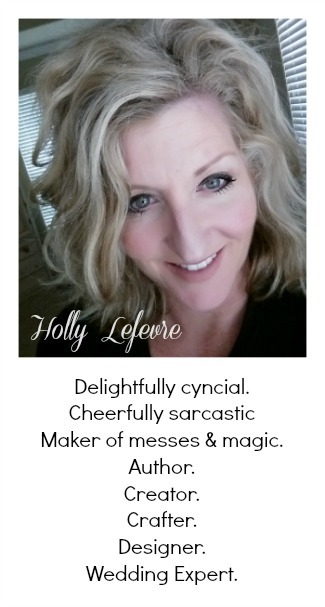 I like to do something quirky, fantastical, or just plain fun! 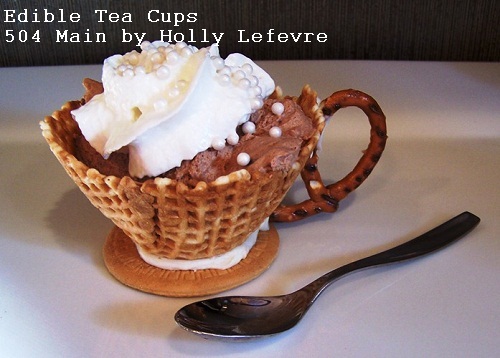 and served it in an Edible Tea Cups and it was a hit! and this method is really EASY! My friend Randi at Dukes and Duchesses shared a photo of some adorable miniature tea cups on Facebook a few months ago and I hunted down the full tutorial from She Knows. 2 - Having Miniature Reese's Peanut Butter Cups in my house is dangerous! 3 - I was not getting the results I wanted....as I cut (or tried to cut) those sugar cones, well, lets just say there was a lot of breakage. So, I thought that has to be am easier way for people like me who are impatient and do not have mad knife wielding skills. So I created my version! Wilton Candy Melts. I used white you can use whatever flavor/color you want. Here is a "dry fit" photo for you to see how they go together! Layout the supplies for a few tea cups at a time. 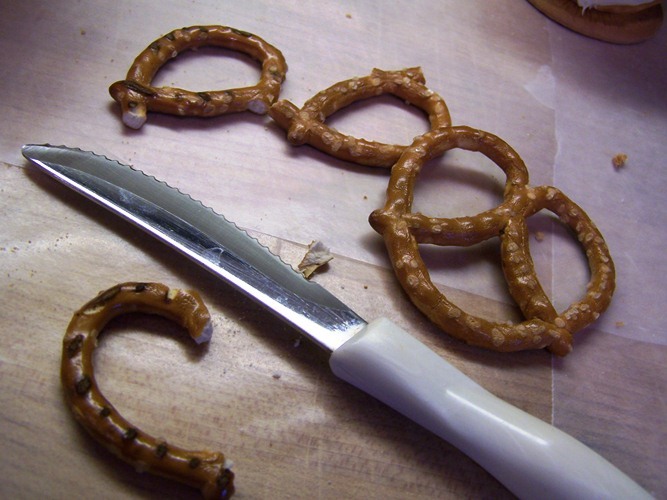 When it comes to the pretzels (handles) I gently cut them in half to form the handle...I ALSO just used some of the already broken pieces to make handles (because I am so resourceful). I kept the extra swirls and such...I thought it was cute and I am all about using what I have. Place about 1/2 cup of candy melts in a microwave safe container and heat slowly on low in the microwave, stirring often, until melted (REFER TO THE PACKAGE DIRECTIONS). I work in small batches when melting the chocolate so that is stays hot and fluid. Place a good amount of the melted chocolate into the zipper bag. Close the zipper side and snip off a very small corner. You are going to be using this like a pastry bag - you don't have to, you can dip or spoon it on...but I found it to be easier to use the bag. Give these a minute or two to harden up and set. 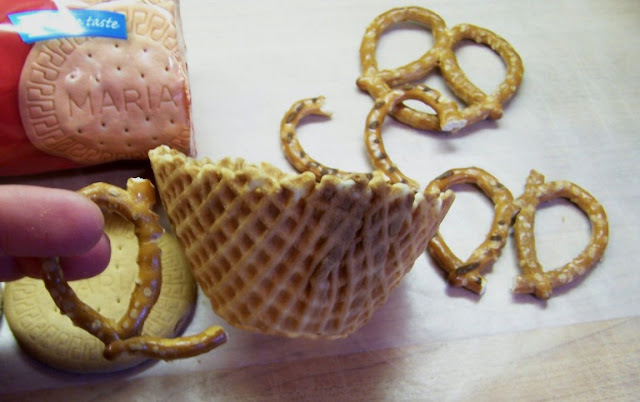 Run a line of chocolate up one side of the tea cup (you can also do drop/balls at the bottom and top)...attache pretzel/handle to the cup using this chocolate. OPTIONAL: Now, I am NOT a choclatier type lady, but for fun, I tried to pipe am initial and a heart on the tea cup (I wish I would have thought of this before the Tea party!). It was super easy to do...and then I just added a Wilton pearl sprinkle as an accent. I won't be winning cupcake wars or a Food Network Challenge...but I like it. Here is how yummy it looked with that chocolate mousse! Who wants to come over for a tea party???? You did a brilliant and creative job making these. Lovely and I am sure they are tasty too. Pinning in hopes of making them someday myself. 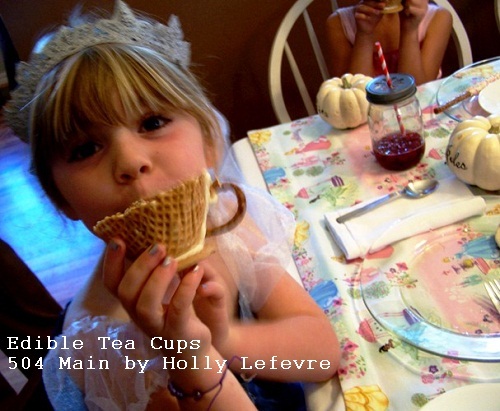 I would love to come to a tea party at your home! :) The cups are so adorable! I feel like these would be SO CUTE for even a wedding or baby shower too. Love it! These are brilliant and adorable. What a fun idea and looks like they were very much enjoyed! I do! I'll have dark chocolate, please. These are so cute...I have to share with my nieces! I'll come....pick me, pick me, pick me! (that seems a little too anxious, doesn't it? 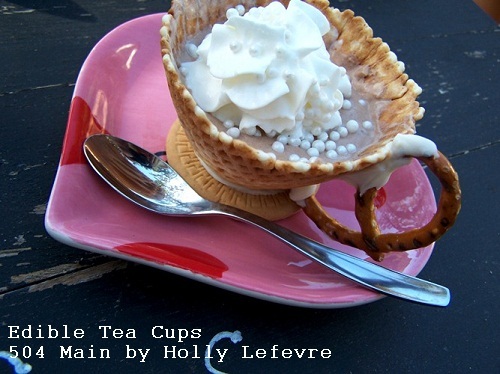 )...what adorable teacups, Holly! Holly those are so adorable! My girls would LOVE those at a party. Thinking I'm going to have to try it out at their next b-days. These are TOO cute, Holly!! These are just too cute! What a fun dessert! 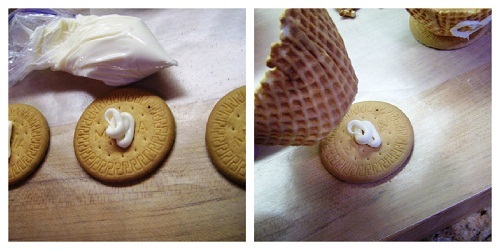 I love these, too cute!! And they actually look like something I could make. :) Pinning so I don't forget! These are so so cute Holly!! I love them! What a fun addition to your princess party! Absolutely love this Holly. 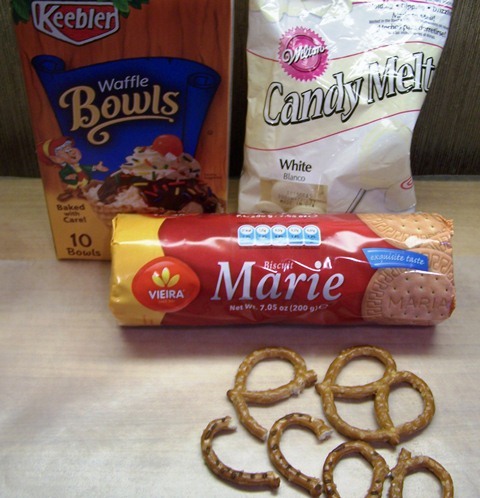 How special and these could work nicely for so many parties. Those are so adorable!!! I definitely want to come over for a tea party with those cups:-) And I love the initial with a pearl...so cute!!!! I seriously think these are the best things ever. 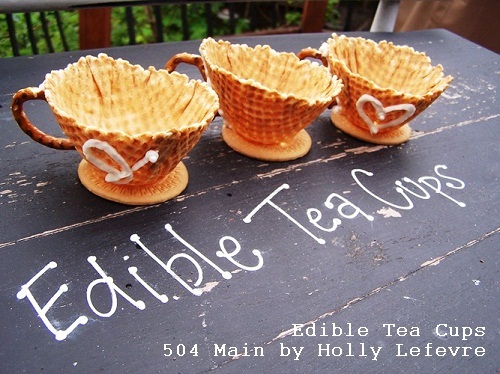 I can't get enough of cute tea cups...but edible?? YES! Great job, Holly!! How absolutely perfect these will be for my daughters Alice in Wonderland party!! !